Well this has been an excruciating couple of days. When I saw the Dr this morning I told her it was harrowing. Then I felt over dramatic but whatever. It’s definitely been up and down. So I guess the lighter test did mean something after all. 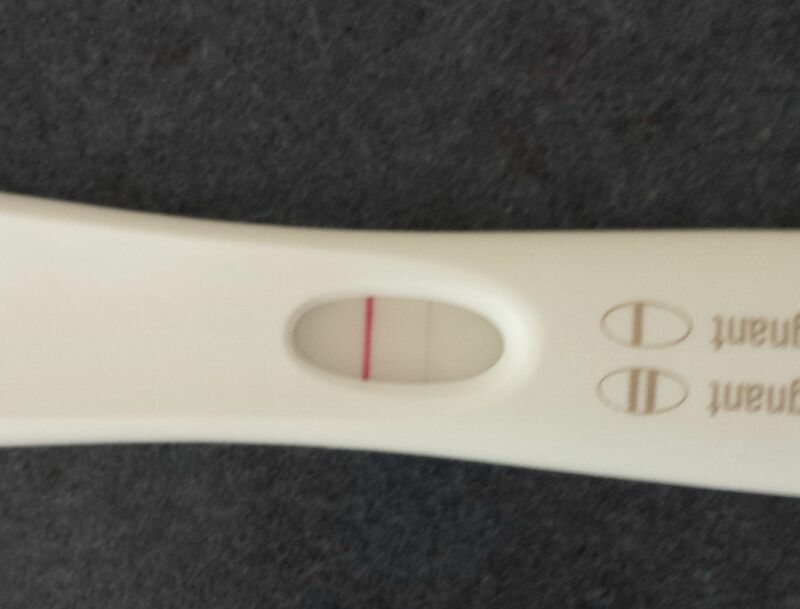 My beta is low and likely too low to indicate a pregnancy that will sustain itself at this late stage. I am having a second blood test on Thursday morning to confirm all this. The thing that bothers me most about this outcome is it is the same problem I have been having all along – dodgy fertilisation resulting in abnormal embryos – which means that that endo removal might not have done the trick after all. I can start my stims as soon as my bleed starts and my HCG is zero so I can still head straight into next cycle. However I’m not feeling as hopeful about this cycle now. I mean, this fertilisation issue still seems to be in play. Anyway, I guess my intuition let me down this time. Boo. I rushed back from the shops just now to take a second crack at peeing on the magical stick. The line is lighter. Hmmmmm I’ve been here before. The only thing I will say is that it wasn’t FMU (but neither was yesterday’s) and it was after only an hour of holding (yesterday it was a good 3-4 hours since I’d peed). The time delay helps with HCG concentration apparently. So I’m still none the wiser and slightly more crazy. I just did a 2 hour round trip just to get a blood test at my clinic this morning. It seems a slightly loopy thing to do but if they prefer I get bloods done there then I’ll have them done there. I’ll jump through any hoops they damn well please given that they seem to have gotten me pregnant. Despite the lighter line I am still optimistic. For some reason I refuse to believe this isn’t going to be a thing this time. I have no idea why but that’s just where I’m at. If I’m wrong, I’m wrong and that’s ok. Getting to believe in it for however short a timeframe is a pretty damn awesome experience. It is exactly 12 months since I last saw 2 two lines on a stick and that was a damn squinter so this experience is exhilarating no matter the outcome. I’m expecting beta results in 2-3 hours. I’ll let you know. I’m going to beg for a second test in 2 days. I need to the reassurance. NEED it. You always hear about those chicks who fall preggers right before their IVF cycle. I have always thought that would be the coolest thing ever to happen but had kind of given up on it happening to me. Well ye of little faith and all because here I am and it’s happening. Wooo! 1. I am going to the clinic before 8:30am tomorrow morning to get a blood test. They do them inhouse so will have my results by midday. They want to check my progesterone as well as the HCG so they can give me some support if need be. 2. No one seems to give a rats about the cream. I am REALLY excited. I don’t know why but I just have a good feeling about this one (hope I am not totally jinxing myself by saying that). According to the online pregnancy calculator (oh so accurate of course and don’t judge me for already checking) my baby is due 30 March 2016. What a great day to have a baby! Oh man, I am off with the fairies. Thank you to everyone for all your awesome messages so far. I will write back when the dust settles. I need to get back to work. Pregnancy excitement is making a me a little ineffective today!! Yikes, cannot believe it. I am PREGNANT. I am quite honestly in a state of shock over this. I am now on day 34 of my cycle and I have been waiting waiting waiting for AF to arrive so I can start IVF #4. This is not my first test either by the way. It’s not like it just occurred to me today that I might be pregnant. I tested on Day 26 and Day 30. Both of those were snowy white negatives.